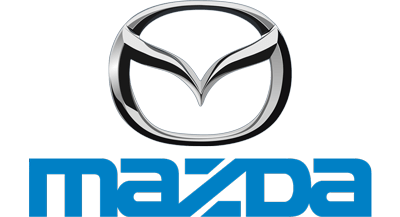 TOKYO, Feb, 06 2019; Mazda's financial performance on a consolidated basis for the first nine months of the fiscal year ending March 31, 2019 was as follows. Net sales amounted to Yen 2,622.6 billion, an increase of Yen 74.6 billion or 2.9 % compared to the corresponding period in the previous fiscal year mainly due to the increased sales. Operating income amounted to Yen59.6 billion, a decrease of Yen 47.5 billion or 44.4 % compared to the corresponding period in the previous fiscal year, resulting from the increase in marketing expense due to the intensifying competition and exchange rate impact, etc. which offset increased sales and cost improvement. Ordinary income amounted to Yen 85.4 billion, a decrease of Yen 49.4 billion or 36.7 % compared to the corresponding period in the previous fiscal year, with the posting of a Yen27.3 billion gain from equity in net income of affiliated companies. Net income attributable to owners of the parent amounted to Yen 37.0 billion, a decrease of Yen 47.9 billion or 56.4 % compared to the corresponding period in the previous fiscal year, reflecting the factors such as income taxes of Yen40.3 billion. In Japan, net sales amounted to Yen 2,148.1 billion, an increase of Yen 51.4 billion or 2.4 % compared to the corresponding period in the previous fiscal year, and operating income by segment amounted to Yen15.1 billion, a decrease of Yen 53.9 billion or 78.1% compared to the corresponding period in the previous fiscal year. In North America, net sales amounted to Yen 1,015.3 billion, a decrease of Yen15.1 billion or 1.5 % compared to the corresponding period in the previous fiscal year, and operating income amounted to Yen28.7 billion, an increase of Yen 13.1 billion or 83.9 % compared to the corresponding period in the previous fiscal year. In Europe, net sales amounted to Yen 527.9 billion, an increase of Yen 3.3 billion or 0.6 % compared to the corresponding period in the previous fiscal year, and operating income amounted to Yen10.2 billion, an increase of Yen 4.2 billion or 70.0 % compared to the corresponding period in the previous fiscal year. In other areas, net sales amounted to Yen 537.5 billion, an increase of Yen39.4 billion or 7.9 % compared to the corresponding period in the previous fiscal year, and operating income amounted to Yen16.2 billion, a decrease of Yen3.0 billion or 15.6 % compared to the corresponding period in the previous fiscal year.